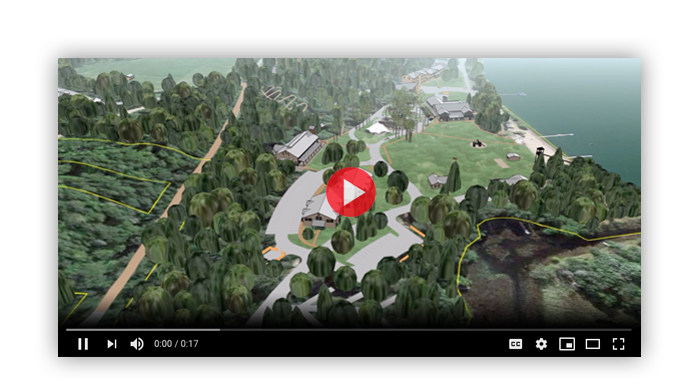 This video shows a projection of the completed master plan! We are currently fundraising to help Big Sandy Camp better accommodate the people who attend camp year-round. This ultimately fulfills our ministry goal of Touching Hearts and Changing Lives. Big Sandy Camp exists to bring people into a closer relationship with God, and our master plan is aimed at helping us work toward that goal. Please see the Support tab of this newsletter or our website to learn how you can partner with Big Sandy Camp in this endeavor. Please use the menu below to choose articles to read. Enjoy!